Abigail desperately needs bone marrow – can you help? As a parent, this story has really touched a nerve with me and encouraged me to go and give blood and register as a bone marrow donor. My mother in law and her friend Aileen were both expecting grandchildren at exactly the same time so would often share stories and updates throughout the pregnancies. 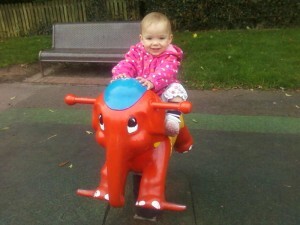 I gave birth to Tamsin who is a very healthy little girl, now 18 months old. Unfortunately, Aileens granddaughter is not so lucky and has a rare blood disorder and she needs a bone marrow/stem cell transplant. Below is the letter explaining the current situation. “My name is Aileen and I have worked for Peveril Homes for the last 18 years. My Granddaughter, Abigail, who is 18 months old, is seriously ill with a rare blood disorder called Aplastic Anaemia, apparently there are only between 40 and 50 reported cases within the Country. At the moment she is receiving treatment at the Queen’s Medical Centre in Nottingham. Her treatment involves transfusions of blood and platelets. Her only chance of survival is a bone marrow/stem cell transplant. The reason for my email is to contact as many people as possible to ask them to become a blood donor and to consider going on the bone marrow register (which can take up to 6 months). Unfortunately only people under 50 can be placed on the bone marrow register. We are currently told that Abigail can continue to receive transfusions for approximately 6 months. The outcome of no donor being found is impossible to contemplate. I would also ask if you would adapt and forward this email to as many family and contacts as you can so that Abigail and others like her may be offered that vital transplant. Alternatively you can register for the bone marrow database with the blood transfusion service when you next give blood. Please advise the staff at the blood donation session before your blood donation is taken that you wish to join the Blood & Bone Marrow Register.